Blockbusters shouldn't be afraid to take a year or two off. - What unreleased game of 2018 are you most looking forward to? We know why blockbuster series ultimately exist: if the games remain good enough to their audience, they'll generally keep selling big numbers. And hey, we love a whole bunch of them, but sometimes a cooling off period can't hurt. Take Assassin's Creed, which was flagging after the release of Unity and took a break after Syndicate, but came back last year with the far better Origins. This week, then, we ask the PC Gamer writers this: which game series should take a break? Guest contributor Fraser Brown also kindly takes part. As ever, we want to read your answers in the comments too. I should probably say FIFA, Pro Evo or Football Manager here, given the fact each annual iteration could probably be reduced to a paid-for patch. But I actually enjoy the ritual of buying each new game—and drawing a line under the previous one—each year. Call me daft in the comments. Sonic, on the other hand, could do with a rest. If Sonic Mania taught us nothing else, it's that Sonic can still be relevant and, crucially, enjoyable in today's market when it sticks to what it knows. I'm a sucker for nostalgia, admittedly, but who really wants more Forces, Runners and Boom and the likes? Not me. Put your feet up for a wee while, Sonic. Chill out. Let's keep things simple moving forward. I write this while being fully excited for the next Total War game, Three Kingdoms, but: I wouldn't mind waiting a few years between big, majorly improved Total War installments. With the launch of the Warhammer series, the Total War dev team has obviously grown to support the simultaneous creation of new historical Total War games and the fantasy spin-off. Now that the two exist side-by-side, we can expect one or more new Total War releases every year, and these aren't games you just blast through in a sitting. They're deep and replayable for months on end, and the longer they have to gestate with the community, the better the mods for them end up being. I'm hopeful that Three Kingdoms brings with it some major changes to a formula that's been starting to get stale. I'd be totally fine with a new Total War game coming out every three years and being a major event. I’m in two minds about Assassin's Creed. Origins ended up being one of my favourite games last year, but everything that connected it to the rest of the series was crap. The Order of the Ancients, First Civilisation and Abstergo stuff just didn’t matter. It was a game about a loveable Ptolemaic sheriff solving everyone’s problems. Odyssey looks like another step in a new direction, pushing the RPG stuff even more and throwing mythological monsters into the mix. I’m actually excited about the series again, but it’s entirely in spite of them being Assassin’s Creed games. So while Assassin’s Creed definitely needs a long break, I’m equally keen to see more open-world RPGs that blend history and mythology, but free from all the bloat and convoluted narrative that has developed over the last decade. 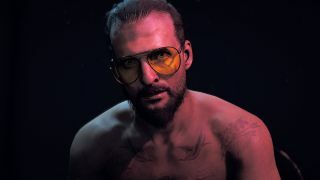 Since 2012 a new Far Cry has come along almost every year (if you include Blood Dragon and Primal). I think they're generally good, fun, entertaining games, though they have sort of settled into a comfortable formula. Maybe it's time for a major re-think, rather than just a new map, new setting, and some tinkering with features. Far Cry 2 was vastly different than the original, and 3 was different than 2, so it would be great to see the next one, whenever it arrives, really step away from the mold, even if it takes an extra year or two. Okay, I admit I've never really been into the Final Fantasy games, but when 15 launched on PC I gave it a shot. And bounced off it so hard, I can't even imagine how people enjoy the series right now. The prologue was this lengthy teen-angst-meets-soap-opera and made me care about none of the characters. I hear it gets better, but it's going to take a lot to get me to consider wading back in. Maybe it's time to live up to the "final" part of the name and give it a rest. Also, every yearly sports game. Madden 2018, NHL 2018, FIFA 2018, and so on. Working on those yearly installments must require some serious passion for the specific sport which I lack. Halo has already been on a break of sorts, if you don't count Halo Wars 2. Three years have passed since Halo 5 was released on a console I will probably never own (unless my 360 breaks, and I no longer have access to older Halos and Red Dead), and Halo Infinite made a splashy but detail-free appearance at E3. I think 343 has a lot of reverence for the lore of Halo, and clearly some of its multiplayer innovations (like Warzone) have gone down really well. But it's missing something for me: a big, sandbox-y campaign, and it has been since Halo 3. I'm predicting Halo Infinite will be in the 'living' looter shooter vein of Destiny and The Division, based simply on the name and the current shooter trends. I'm hoping that when Halo finally returns to PC, they put more of those classic larger-scale exciting encounters in the game, along the lines of Assault on the Control Room from Combat Evolved, or the double Scarab fight in Halo 3. This is what the series was always best at.